The first ever UK appearance of one of Europe’s most exciting solo jet demonstrations has been confirmed for this summer’s Royal International Air Tattoo at RAF Fairford. The display by the Hellenic Air Force’s F-16 demo team, named Zeus, is set to provide one of the highlights of the flying display at the airshow on July 17-19. Zeus has only previously performed outside its homeland at displays in Poland, Belgium, the Netherlands, Switzerland and the Czech Republic. The team, which is named after the father of the Olympian gods in ancient Greek mythology, aims to demonstrate the capabilities of the Hellenic Air Force – an air arm that has been modernised substantially in recent years – as well as fostering links between the Greek public and its air force, and encourage recruiting. 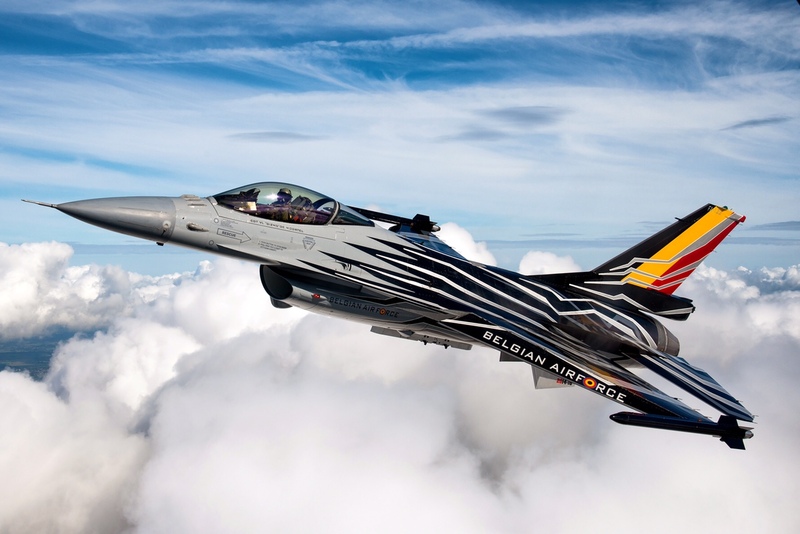 The Zeus demonstration will be flown at RIAT 2015 by Captain Sotirios Stralis and is the latest addition to the roster of excellent F-16 solo displays around the world, many of which have featured at previous Air Tattoos. The Zeus display is unique in featuring the Block 52+ version, complete with Conformal Fuels Tanks fitted to the upper surfaces of the aircraft, presenting a different view of Lockheed Martin’s outstanding F-16C Fighting Falcon. The first Zeus demo team was formed by the HAF under the guidance of the US Air Force, giving its debut performance at Tanagra Air Base in November 2010. The display is being provided by 115 Combat Wing based at Souda, which has under its command two squadrons of Block 52+ F-16s – some of the most advanced multi-role fighters within NATO.